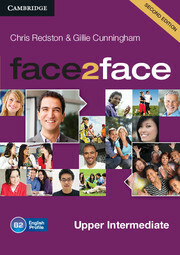 face2face is the flexible, easy-to-teach General English course that helps adults and young adults to speak and listen with confidence. 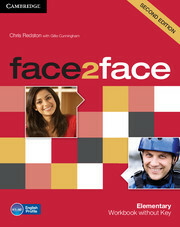 face2face is informed by Cambridge English Corpus and its vocabulary syllabus has been mapped to the English Vocabulary Profile, meaning students learn the language they really need at each CEFR level. The course improves students' listening skills by drawing their attention to the elements of spoken English that are difficult to understand. The Class Audio CDs include complete recordings for the listening activities in the Student's Book.